The third week of the preseason is often tabbed “dress rehearsal week” in the NFL and for the Seahawks there is an awful lot of show that the 12’s need to see. 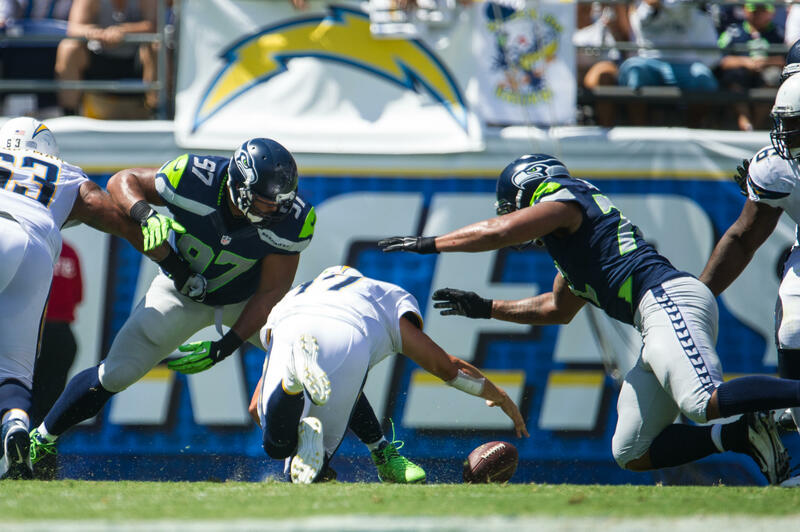 After two disappointing outings, the Seahawks look to show significant improvement this week as they take on the San Diego Chargers. The starting units will likely play the entire first half and a series or more into the third quarter. This will give us the best look of where our team stands before the regular season starts. Here are the areas I will be closely watching this week. It is my hope that the starting defense, the front seven in particular, can build on their success from last week in Kansas City. The pass rush was very effective in penetrating the line and getting to the backfield. This week I am looking for Cliff Avril and Michael Bennett to put continuing pressure on Chargers quarterback Philip Rivers. With Bruce Irvin possibly out this week after suffering a concussion last week, my X-Factor Player to Watch, second year man Kevin Pierre-Louis, may start at outside linebacker this week. Pierre-Louis has backed up both Irvin and K.J. Wright this preseason but it will be interesting to see how he plays. Irvin is best used for rushing the passer while Wright plays in coverage. Pierre-Louis got hurt last year so I have not seen nearly enough tape on him to truly know what his strengths and weaknesses are in the second level. KPL is certainly the one guy on defense this week to have your eye on. I am looking for two key improvements by the front seven this week. First off, last week we struggled mightily at getting off the field because of penalties. Alex Smith’s one touchdown drive last week benefitted from the Seahawks inability to get off the field. After ranting about the continuing penalty problem I am hopeful that the Seahawks spent a lot of time in practice this past week to correct it. Secondly, third down and short has been a problem so far this preseason. I am looking for big stops, specifically in the running game on third and short. Our defense must be able to stay fresh. Stopping Melvin Gordon, Danny Woodhead, and Branden Oliver in short yardage situations will go a long way towards the Seahawks defense playing a much more consistent game. This week the secondary will be the closest thing to the Legion of Boom we will see until the regular season starts. Richard Sherman will likely start at corner opposite of Cary Williams. Earl Thomas may start at free safety but it would not be a surprise if he is held out until he is a little bit healthier. Kam Chancellor is the only starter of the Legion on Boom who will not play for sure, as he continues his holdout. I would like to see Rivers test the secondary this week to see where we stand. I thought our defensive backs had a very below-average outing against the Chiefs last week unlike how the defensive line and linebackers showed significant improvement. If the Chargers complete long passes and the cornerbacks and safeties struggle I will be teetering on terrified for the start of the season. It is no surprise what I want to see out of the Seattle offense this week. In a little over one full half of playing time so far this preseason, the Seahawks starting offense has this to show for it: 6 drives, 6 points, 0 touchdowns. Russell Wilson will lead the offense for this amount of time in this week’s game alone and it is time to settle our nerves about the functionality of this unit. My expectation is two touchdown drives in the first half and three total scoring drives before R.J. Archer takes over in the third quarter. For this to happen everything has to be in sync; the pass protection must be on point, the running game must be able to take pressure off of Wilson, and I would also like to see the playbook opened up a little bit. 17 points is my hope for the Seahawks by the time the reserves take the field in the second half. Random Thoughts: Seahawks will wear white this week. My prediction for pant color is college navy. San Diego will wear navy blue jerseys and white pants most likely… Greg Gumbel and Phil Simms have the call for CBS this week. When we are good, the Seahawks are good for one nationally televised preseason game. Luckily this year it comes on the road, which means I am not forced to watch a local broadcast production and listen to local commentators. This will probably the best game to watch on television this preseason… Tony Corrente is the referee for this week’s game… Due to the national TV broadcast this game does not start at a traditional local start time. Usually if we played San Diego in the preseason the game would start at 7pm but because CBS is broadcasting the game it starts at 5pm which I really prefer… It is disappointing that this could be the final season of Chargers football as we know it. If you didn’t already know, the Chargers are one of three NFL franchises who are looking to relocate to Los Angeles for the 2016 season. Many believe that San Diego may in fact be the frontrunner to be heading to Tinseltown. The Seahawks and Chargers were rivals in the AFC West for 23 years. The franchise has been in San Diego for over 55 years. It would be a complete shame for San Diego to lose the Chargers but we of all cities know what it takes to keep a professional sports franchise in town. Qualcomm Stadium is a concrete dungeon and without plans for new digs, the Chargers will absolutely be heading to LA. Here is a very interesting stat to note, which goes to show you how fast the economic climate can change in professional sports. The city of San Diego hosted Super Bowl XXXVII 13 years ago. Among other reasons, Super Bowls are awarded to cities that have economically viable stadiums, which was the case with San Diego 13 years ago. The NFL would never let San Diego host a Super Bowl at Qualcomm Stadium today. Seattle’s KeyArena reopened after a “state of the art” remodel in 1995. In the exact same amount of time, 13 years, KeyArena became economically obsolete which was one of the factors why the Seattle SuperSonics relocated to Oklahoma City in 2008. I would love to see the Chargers get something done at the 11th hour in San Diego. The “Los Angeles Chargers” just doesn’t have the same ring to it as the “San Diego Chargers” does. Prediction: Russell Wilson will lead scoring drives resulting in 10 points in the first half. With Wilson at the helm to start the second half, the Seahawks will drive into field goal range and Steven Hauschka will kick another field goal. The Seahawks defense will have a very solid game and several defensive players fighting for a roster spot will make big plays, making their final audition next Thursday that much tougher for the coaching staff to determine their fates. I predict 3 takeaways by the defense in this game. The Seahawks will finally get into the preseason win column, eeking out a close victory.